World’s most popular video streaming service YouTube has enabled a new facility to download videos from YouTube without the help of any third party applications. Previously we could stream videos, share it but there was no option to download the videos. Then We have third party application like YouTube downloader. 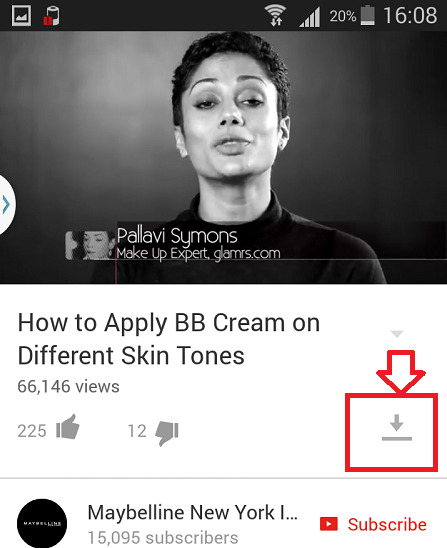 But now, YouTube itself will keep a new option to let you view the videos in offline mode. You can download videos directly from YouTube. This is truly a great revamp in YouTube but let me tell you, not all videos can be downloaded from YouTube. Many videos are their where the owners or uploaders reserve the copyrights of the videos. Excepting those, you might be able to download any other videos. 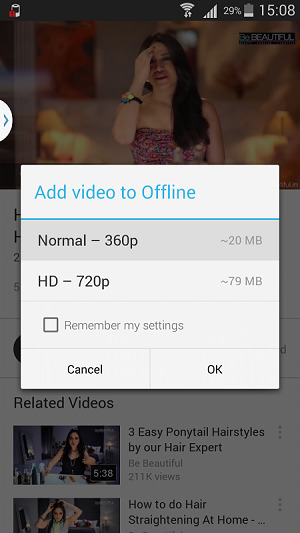 You will be able to know which videos can be downloaded and watched in offline mode. The videos which are restricted, the download option will be grayed out. All other videos, which are permissible, will provide you two options for download- the full HD version or a comparatively lower resolution version. The feature is being made available to the Android smartphones as I just received it. So if you have an Android phone or an iPhone just try for it. Later on if you want to remove he videos, just go to options, select it and remove it. Well I have to admit that it’s pretty convient! It would be useless for Youtube to try to stop us from downloading their videos anyway, there are always gonna be ways to do it. For me this is useless option. They should implemented option to download mp3 from videos. That will certainly be useful improvement. Oh really? Wasn’t yet aware of this. Finally I can download the videos I want. I mean I actually need this because I watch a lot of them. I wanted some workout videos which were available on youtube so that I could watch them daily but I couldn’t. More convenient for people like me! This is a great and useful asset for many users who like to download videos and watch them later. Not all videos can be downloaded.